What? There are 11 days until Christmas?! 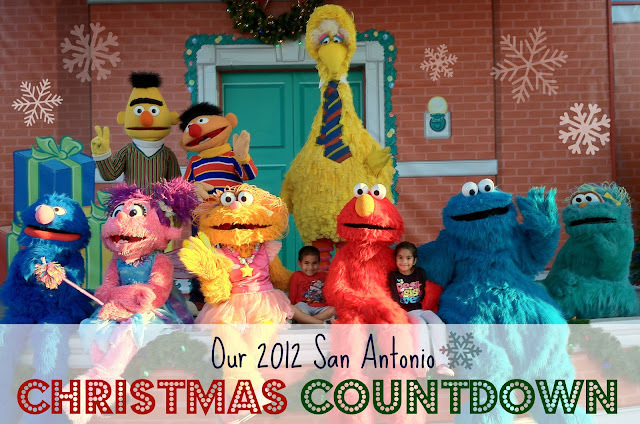 I have no idea where the time went, but here it is...our 2012 San Antonio Christmas Countdown! In our home, I create a countdown to Christmas with some jute, scrapbook paper and clothespins. I number the days and use post it notes behind the day for activities, or attach a little wrapped candy or trinket. One of the great things about a countdown calendar is that the activities are hidden, so if something pops up and you need to do a switcheroo, the kids may never know! And now that the kids can read, I be sure to attach the post it note for the next day before I go to bed. Here is our list of advent activities that you can still do with you kids! Hope you get to make some great memories before the big day!